"Ugh the Duck," a retelling of the classic tale, "The Ugly Duckling," will be performed for schoolchildren and the general public at UC Merced as part of an effort to expose Merced County youth to opera and theater. Thousands of area children will attend twice-daily school performances for free between May 20th and May 24th. A public performance is scheduled for May 24th at 7 pm. All performances are held in Lakireddy Auditorium at UC Merced. Suggested donations for the public performance are $5 for adults and $3 for children (at the door). Doors open at 6:30 pm. The project is sponsored by the Merced County Office of Education, Arts UC Merced Presents, Building Healthy Communities Merced, and private donations. UC Merced Professor Katherine Steele Brokaw is directing the show and coproducing it with music theater lecturer and professional opera singer Jenni Samuelson. 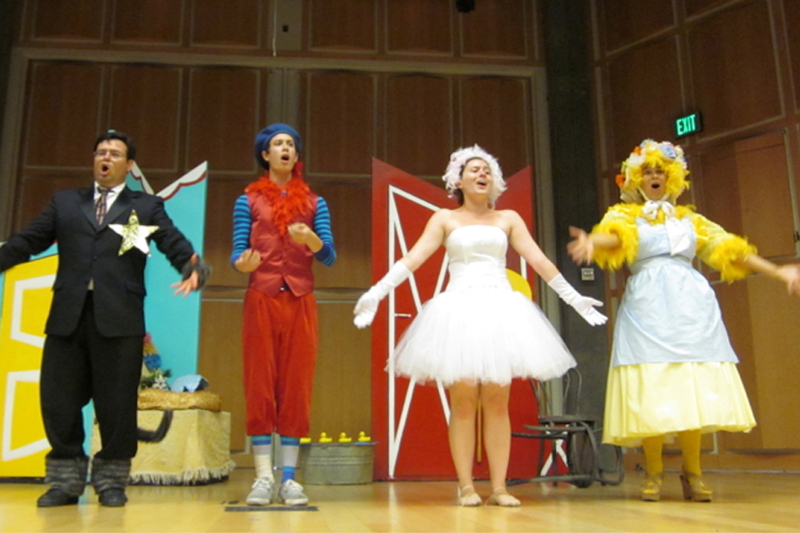 This is the second consecutive year that “Ugh the Duck” has brought local school children to campus to expose them to the fine arts; UC Merced and MCOE presented “Little Red Riding” in 2009 and 2010. "We hope that the show's message — that every child can someday spread their wings but still have a place to call home — resonates with the children of Merced and inspires them perhaps to consider someday becoming a student at UC Merced or another college," Brokaw said. The opera was written by Nancy Steele Brokaw, and the music is by Wolfgang Amadeus Mozart and Arthur Sullivan. The music director is Patrice Stribling Nelson. The play stars professional opera singers Samuelson and Aimee Puentes, along with UC Merced students Justin Choi, and James McIntyre. effort to share opera and theater with Merced County youth."